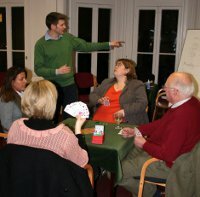 We follow a similar approach to learning and playing Bridge to Andrew Robson, The Times Bridge correspondent and leading Bridge player-teacher-writer. The emphasis is on enjoying Bridge at all levels through clear, accessible teaching of the highest quality. The Andrew Robson Bridge Club in Fulham, London is one of the largest and most welcoming in the UK. keen to sharpen their Bridge game and improve their results at the local club and in competitions. Personal tuition in the comfort of your own home. An ideal group is from four to six players. Private classes generally last 2 hours and are typically arranged once a week. 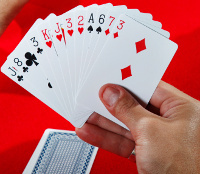 These always include plenty of practice playing Bridge! 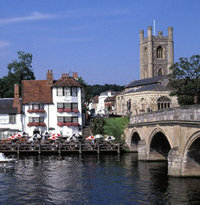 Supervised Bridge play at various venues in and around Henley-on-Thames. Join friends and meet new people at our lessons in and around Henley-on-Thames. 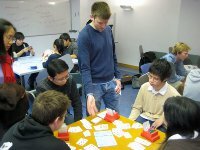 We offer a full range of Bridge lessons at several different venues. Our Bridge is open to all, whether young or old; studying, working, or retired; on your own, with friends, in a couple, or as a family! You don’t require any special skill or expertise to learn or to play – if you can count to 13, you qualify. Come and join a fantastic Bridge playing community! 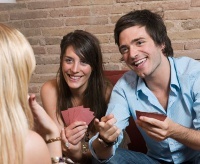 Whatever your standard, we aim to ensure Bridge is a pleasure to play and an absorbing and rewarding pursuit. We take pride in providing Bridge teaching of the highest quality and an exceptional level of service. 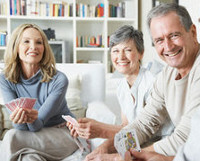 Please get in touch and let us help you to get the most from this wonderful card game!